With an ultra-low centre-of-gravity body, wide tread and tyres, the LC 500h strikes a sleek and seductive silhouette. Newly developed ultra-compact LED headlamps, L-shaped daytime running lights and a dynamic new spindle grille lends boldness to the LC 500h’s front façade. A selected option for the LC 500h is the glass roof, which closes the distance between you and your environment. Driving-related switches and controls located around the steering wheel make it easier to concentrate solely on the road ahead. Expect pure brilliance when you turn on the LC 500h’s elegant L-shaped taillights, which utilise mirrored optic construction. Newly developed run-flat tyres grip the asphalt of your favorite roads, so you can keep on driving to a safe spot long after all the air has gone. For even greater aerodynamic performance and a beautiful minimalist door design, the outside door handle sits flush against the door surface. A beautifully ornamented leather shift knob that has been designed to fit snugly into your hand. 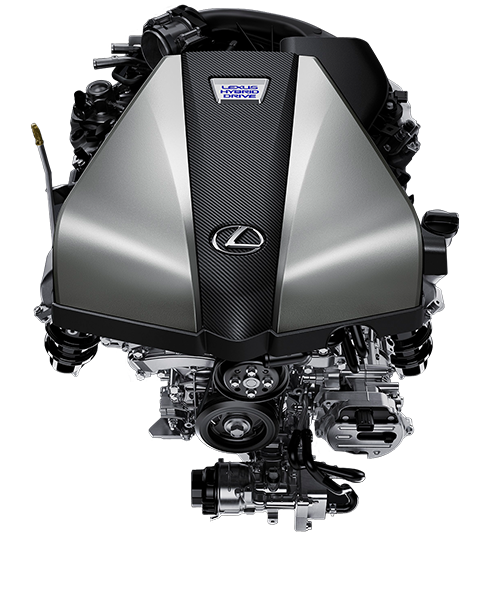 The LC 500h is powered by a robust 3.5-litre V6 engine, pumping out a maximum power of 220kW (264kW total system output). The LC 500h comes with a multi-stage hybrid transmission, ensuring that you will be in the optimum gear in any situation. Six-piston calipers on the front and four-piston calipers on the rear enhance braking power. The highly maneuverable LC 500 is very responsive to the turn of the steering wheel, providing even greater driving fun for you behind the wheel. The LC 500h cuts through the air with aerodynamic features, including aero stabilising fins and rear aero ducts. Select performance to match your driving style with 6 drive modes including CUSTOM, which enables the driver to tailor the drive mode settings to their liking. Lexus Hybrid Drive enables Lexus hybrid cars to draw power from both electric and petrol motors, resulting in instant torque and acceleration. A compact, lightweight and high-output lithium ion battery pack in the LC 500h contributes to excellent driving performance. The All Speed Dynamic Radar Cruise Control assists you in maintaining a safe distance from the preceding vehicle. If you drift into another lane without a turn signal, the LDA system alerts you with a buzzer and notification on the multi-information display. The PCS is an intelligent warning sensor at the front of the car that alerts you and helps to avoid potential accidents. 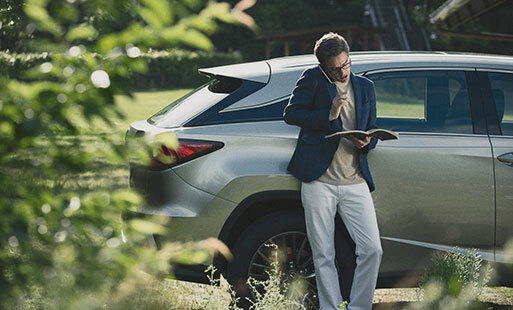 Be the first to get the latest updates and promotions on the LC 500h.